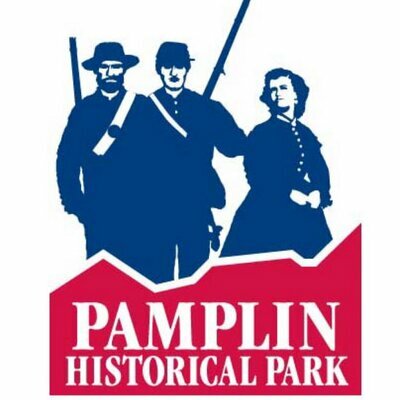 Pamplin Historical Park & The National Museum of the Civil War Soldier is observing this Veterans Day with an observance ceremony and additional activities on Nov. 11. This year marks the centennial of the conclusion and armistice of World War I fought 1914-1918. Over 4.7 million Americans served in “the war to end all wars” and approximately 63,000 did not return home. A further 200,000 were wounded bearing emotional and physical scars for the remainder of their lives. This Veterans Day, the park will honor the service of all service members who have fought in defense of America and liberty from the American Revolutionary War to the present day. A remembrance ceremony will start at 11:00 a.m. with a presentation of colors by the Virginia State University ROTC Color Guard followed by a Ringing of Bell Service and artillery salute. This will be followed by a living-history demonstration where park visitors can interact with World War I Doughboys and learn more about the American soldier in the “Great War”. A walking tour led by park staff will explore the parallels between the original Civil War earthworks at the park and the trench fighting that took place in World War I. Inside the park’s Education Center United States Army National Guard Historian Alexander Barnes will afterwards present a talk titled “Virginia’s Preparation and Participation in World War I” at 2:30 p.m. Activities will conclude with a selection of Civil War soldier’s songs in a musical performance by the Haversacks and Hardtack String Band in The National Museum of the Civil War Soldier. Throughout the day a special display of artifacts from World War I will be available for viewing in the museum. All activities and the ceremony are included with regular park admission to the general public and free to active duty service members and veterans. One of “Virginia’s Best Places to Visit” according to the Travel Channel, and designated as a National Historic Landmark, Pamplin Historical Park & The National Museum of the Civil War Soldier is a 424-acre Civil War campus located in Dinwiddie County, Virginia offering a combination of high-tech museums and hands-on experiences. The Park has four world-class museums and four antebellum homes. The Park is also the site of The Breakthrough Battlefield of April 2, 1865 and America’s premiere participatory experience, Civil War Adventure Camp. For more information, please call 804-861-2408 or visit www.pamplinpark.org.